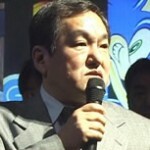 For more than three decades, Hiroshi Kawaguchi has been the creative force behind many of Sega’s most beloved soundtracks. 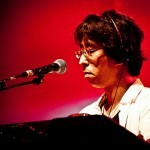 He has written music for all sorts of games, including classics like OutRun, Space Harrier, and After Burner; and he has played many of them live. Join us as we celebrate one of the greatest game composers of all time! In July of 2014, the SEGA community and video games in general lost one of their most innovative minds. Joe Miller’s passing marks the end of a brilliant career, but it also presents an opportunity to explore the rich legacy he leaves behind. His work at companies like Epyx, Atari, and SEGA altered gaming in many ways we still see and experience today. 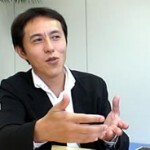 A true Sega Star, Naoto Ōshima has put his artistic and design talents behind a plethora of Sega classics for the Master System, Saturn, and Dreamcast, and he eventually branched out to found one of the most prolific independent game studios in Japan. Oh, and he also created Sonic The Hedgehog. Our Sega Stars feature series returns today, and this time we examine the man responsible for every Sega console ever made, Hideki Sato. From his days as head of Sega R&D, creating its incredibly popular arcade boards and home systems, to his tenure as the company’s president, where he had to oversee the end of the Dreamcast, Sato is one man who is undeniably Sega through and through.